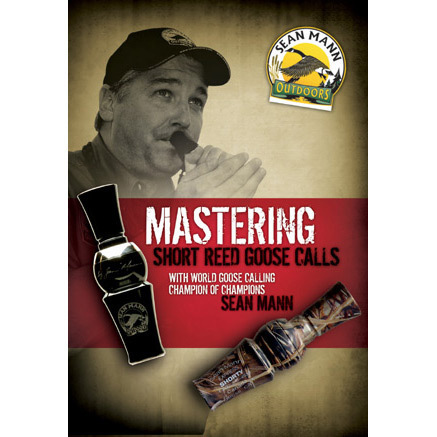 Mastering Short Reed Goose Calls Instructional DVD with World Goose Calling Champion of Champions Sean Mann. All from World Goose Calling Champion of Champions and Professional Guide Sean Mann! All Sean Mann merchandise is known for its superior quality and is 100% guaranteed.